You are currently browsing the tag archive for the ‘union station’ tag. Union Station, always a place of comfort and refuge for me. And for fellow travellers for 135 years. 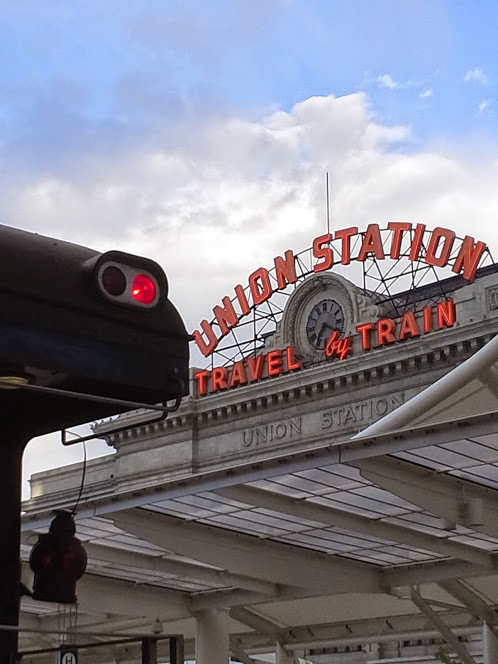 We’ll leave the beach for a day, and you can see what I see every day — Union Station in Denver. It’s a beautiful building, and often in the morning, people are lined up waiting for the California Zephyr to take them on to parts west. While in the past two years, it has been transformed from what was for me, a sanctuary of stillness and spirit, to a hub for people to sit, work, chat, eat, drink, and generally be social, it still retains a touch of its old self, especially on the outside. And I can still feel the ghosts, way up in the arches of the ceiling. I had the pleasure of watching the California Zephyr pull into Union Station on my way into work the other morning. 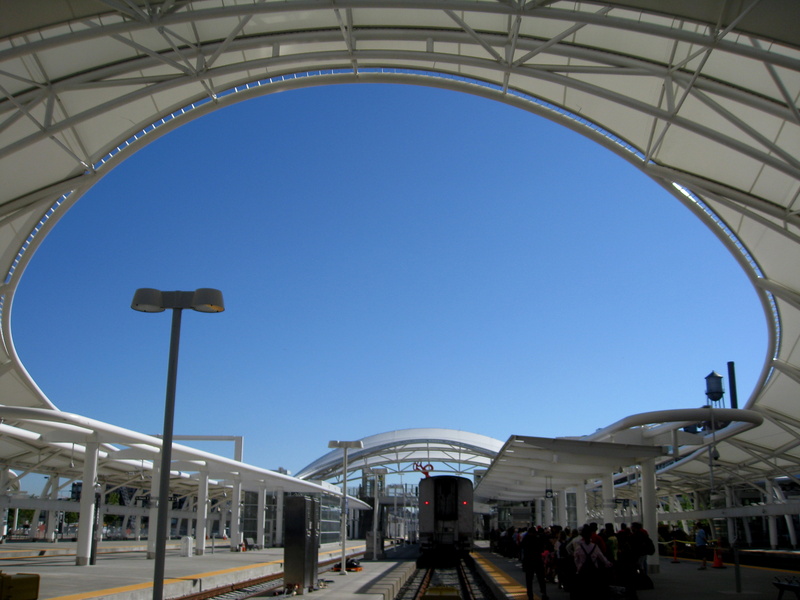 It’s been a long time since I’ve taken a train trip of any length, and it’s on our to-do list. When I was 14, my parents took E-Bro and me on a train trip up from Durham to DC to Montreal, across Canada to Vancouver, and then down to Seattle and San Francisco. (My father woke me up at 3:00 a.m. so we could get off the train and say we’d been to Moose Jaw.) It was wonderful and I’d love to do a trip like that with MKL. For now, I’ll have to be satisfied with watching the Zephyr come and go. It’s a little early or a little late for Christmas photos, but I was watching an Amtrak pull out heading east this morning, wishing I was on it. 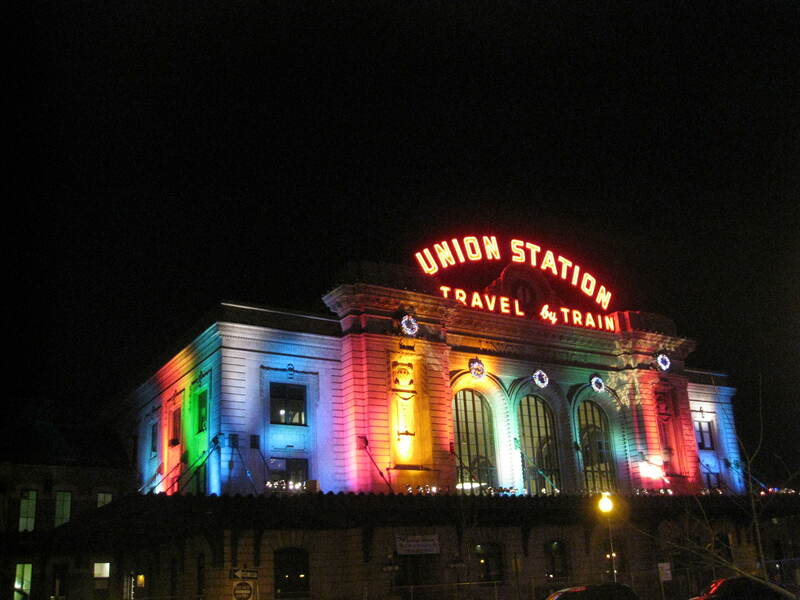 During the holidays, Union Station is lit up with a rainbow of lights. I hope that the construction project centered around this historic depot doesn’t prevent the lights from shining this year.